MDS ap named Best Enterprise Solutions Integrator at Hot 50 Awards for the company's solid strategies and execution in delivering exceptional business values to enterprise customers. Rotana Hotels' VP of IT, Samir Abi Frem, talks about why the group has selected SAP BusinessOjects BI Suite to revamp the corporate data and business intelligence platform and well as why MDS ap was chosen to implement the project. On our 25th year anniversary, we are proud to present our history in a short video. It is an exciting journey of continuous transformation and it will continue. We are looking for talent to join our teams. "Partners are important. 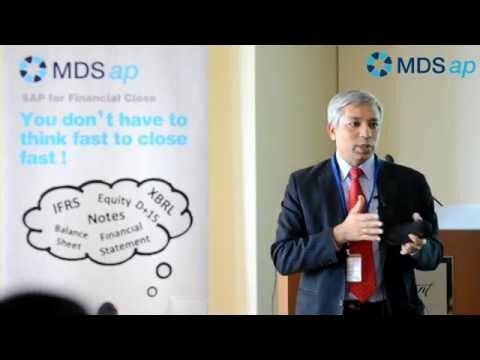 For almost all solutions, you need an implementation partner, so when we evaluate the RFP, we don’t just evaluate the product itself, we evaluate it as a package deal to see who is the implementation partner.” Surya Subramanian, Group CFO, Emirates NBD. Our customer UAE EXCHANGE CFO Mr. Pradeep Kumar was recently interviewed by CFO Middle East Magazine on the company's implementation of SAP BPC by MDS ap. We have been working with EPM International to gather publicly available information on the elapsed days taken to report year-end results and complete year end audit sign off for over 1,000 of the world’s largest companies. We believe you can use this research to drive discussions around faster close, performance management and the overall effectiveness of record to disclose (R2D) processes within your organization. MDS ap is the successor of Sybase Products with 25 years of history serving enterprise customers in MENA, Turkey and Central Europe. As a SAP Gold Partner, we are dedicated to helping you run businesses better using technologies from SAP and from complementary solution providers. Our expertise spans across Enterprise Architecture, Data Management and Processing, Analytics, Enterprise Performance Management, Omnichannel Banking, Human Capital Management and Customer Engagement and Commerce. The winning combination of our technical skills, real case experience and industry domain knowledge has allowed us to help many global and regional customers improve business performance and achieve growth targets. MDS ap is part of the Midis Group and is a member of EPM International. We currently operate twelve offices across the Middle East and North Africa, Turkey as well as Central Europe.